We wanted to say thank you to everyone that attended FuturePMO 2017 and helped make it a huge success! 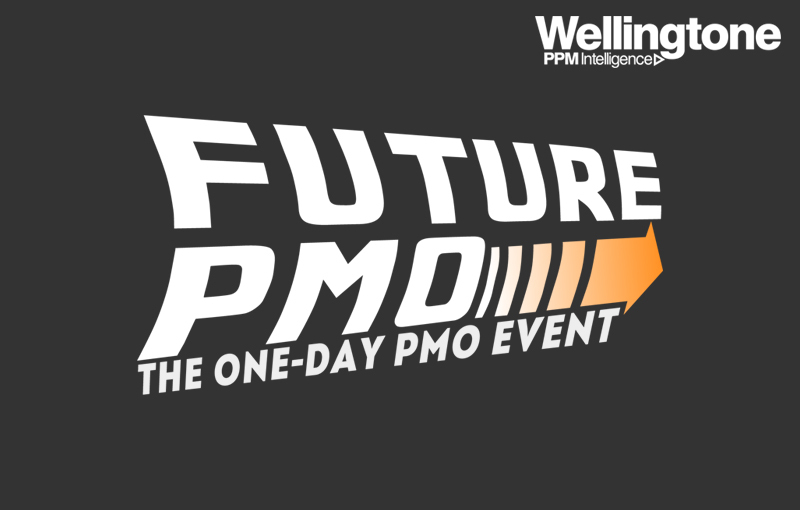 For our debut PMO Conference, we are delighted with the outcome and wish we could go back to Tuesday to start over again. We’ve received an overwhelming amount of positive feedback from the event and we will take this and build upon it to make FuturePMO 2018 even better! As many of you know, we encountered an issue with our original venue, leaving us less than two weeks to find a replacement. With the help of a fantastic Event Management Company and a very hard-working Wellingtone team, a new venue had been sourced within days. One of the benefits of being a project management company! The venue worked extremely well for Future PMO, considering we needed to find space for our many delegates, workshop rooms and not forgetting our beloved DeLorean and Titan the Robot. Presentations and workshops were carried out by industry-leading speakers from Fujitsu, Tata Communications, The Open University and many more! We’ve uploaded their slide decks to SlideShare. The atmosphere at FuturePMO was fantastic. Whilst delegates were encouraged to learn in the presentations and workshops, break times gave the chance to enjoy themselves and network. Speed networking tables presented people with a great opportunity to talk to each other. The Back to the Future theme worked extremely well – the DeLorean was never empty, with delegates taking to the Driver Seat to have their professional photo taken as a keepsake from the show. We’re already getting a high number of pre-registrations for FuturePMO 2018! Make sure you don’t miss out on Early-Bird tickets, sign up here. Exceptionally well put together event – keeping it light and amusing supported by very interesting talks – and an excellent Guest Speaker, Robert Llewellyn. Loved the creative ideas for networking. Enjoyed all the creative and entertaining touches, made it different from the norm. The whole day was extremely well-organised. It was a great day with lots of insightful talks given. Each presenter was engaging and I took away learning from each session. Very good speakers and an excellent range of topics covered.